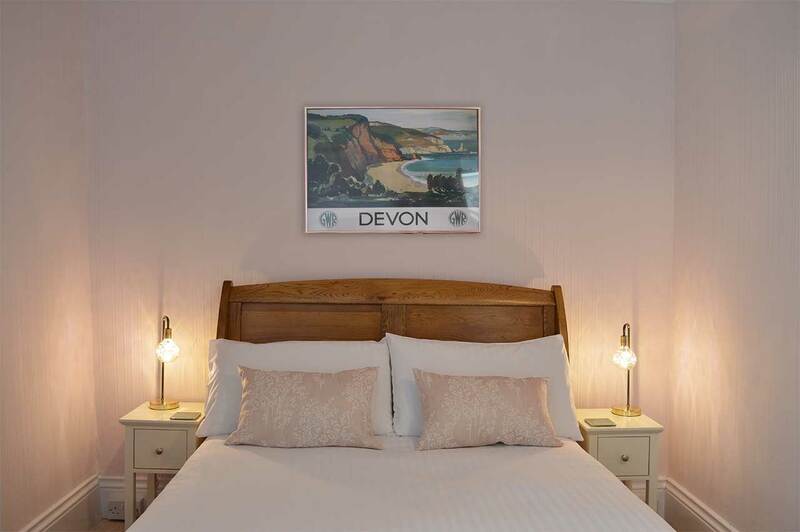 Bedroom Three is a first floor, large double en-suite bedroom with dual aspect views across Watersmeet Road, and down towards Lynmouth village, the harbour and sea. 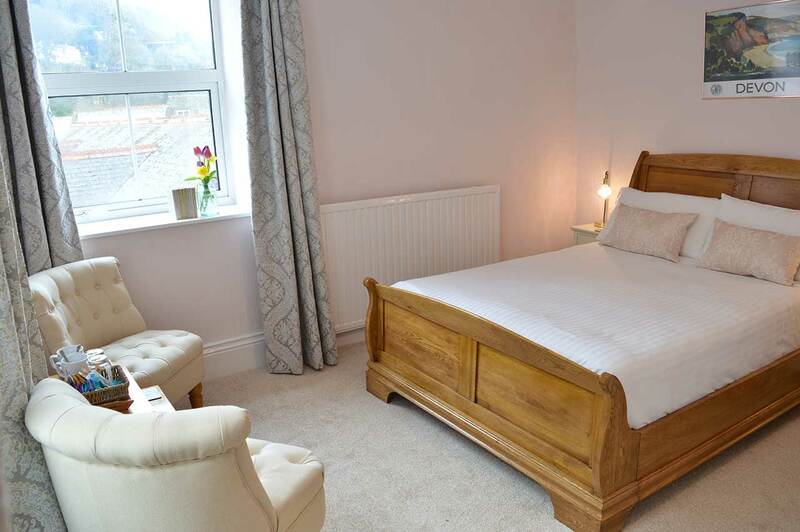 It has a traditional solid oak sleigh bed with soft linen, pillows and cushions, slimline wardrobe, luxious blackout curtains and relaxing slipper chairs. Enjoy a steaming cup of tea whilst reading through our free local magazine, The Exmoor Visitor. 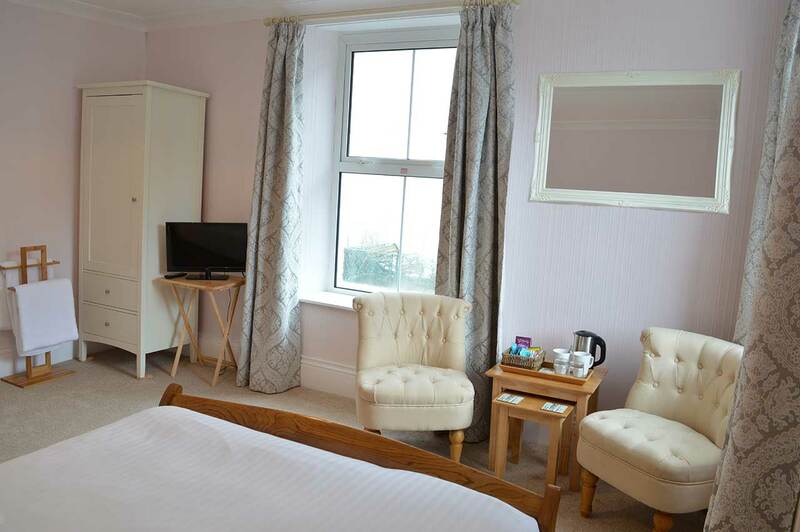 Bedroom Three has been newly decorated in a beautiful pastel colour and offers a place to relax after a day’s adventure.